This report provides an overview of the present situation of minority and indigenous peoples’ rights in Russia. It examines the difficulties in the implementation of international mechanisms for minority and indigenous protection, with a focus on the Council of Europe’s Framework Convention on the Protection of National Minorities, although other international standards (emanating from the OSCE and United Nations) are also taken into account. 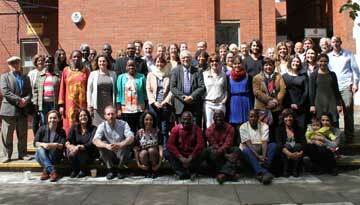 In particular, the report considers the complexities in the participation of civil society in international monitoring mechanisms. 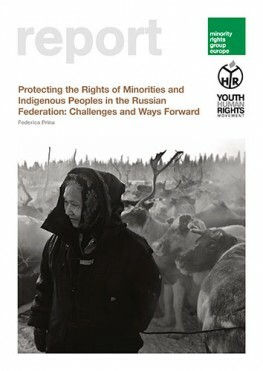 Following an introduction and an overview of domestic and international legislation, the report provides: a) an overview of the main problems confronting minorities and indigenous peoples in Russia; and b) an outline of the factors affecting the implementation of international mechanisms on minority and indigenous protection. It ends with a series of recommendations to improve the participation, recognition and treatment of minorities and indigenous peoples in the country. международных осмотровых механизмах. После введения и краткого обзора внутреннего и международного законодательства, отчет предоставляет: a) краткий обзор главных проблем, встающих перед представителями меньшинств и коренных народов в России; и б) описание основных факторов, влияющих на применение международных механизмов защиты меньшинств и коренных народов. Он заканчивается серией рекомендаций для улучшения участия, признания и отношении к меньшинствам и коренным народам в стране.